If you’re like most people, your baby was barely a week old and you probably thought about the day they would head off to college. The old saying that “with kids, the days are long but the years are short” certainly applies when it comes to planning and saving for college. And as with most things, the more you research your options, and the more you plan ahead, the more fulfilling the experience will be – for both you and your child. Let’s face it, education is expensive. You may have different options for elementary and high school. Before sending your child to a private, charter, or parochial school, consider that your local public school may be a better option, and that the money you don’t spend on high school can be invested and used as savings for college. College savings can start with a 529 plan, which is an education savings tool that helps you maximize your savings and tax benefits in a fund used specifically for education costs. 529 plans vary slightly from state to state, but in most cases will not affect where your child chooses to attend college. Like a 401(k) plan, the sooner you start saving the more money you’ll have when the time comes to write that first tuition check. When you’re planning for college, consider that tuition can increase at a pace far greater than inflation, so it’s a good idea to supplement your 529 college savings with an additional investment account if you are able. By the time your child is in high school you should spend as much time acquainting yourself with the different types of financial aid and scholarships that are available as your child spends doing his or her homework. There are a number of local and national scholarship programs that your student may be eligible for, as well as many federal student aid and scholarship opportunities. You should also understand if the program is a loan that needs to be paid back, or a grant that only requires meeting certain academic or social criteria. It can get confusing at times so don’t be afraid to ask for help. Before you start touring different schools with your student, go online and review what the financial aid parameters are for each institution. Ask questions about eligibility requirements for financial aid and how many years the aid covers. It’s helpful to know what you do and don’t qualify for before falling in love with a school. In the college planning process, it’s wise to consider different programs such as 2-year and community colleges, which can be more accessible financially and oftentimes are a better fit for the student. Planning and saving for college can be overwhelming. At Mooney Lyons, we’re here to help. For more comprehensive college savings program, call our office and meet with a qualified associate. Because with good planning, saving for college can be just as exciting as getting into the school of your dreams. Content is this material is for general information only and not intended to provide specific advice ore recommendations for any individual. 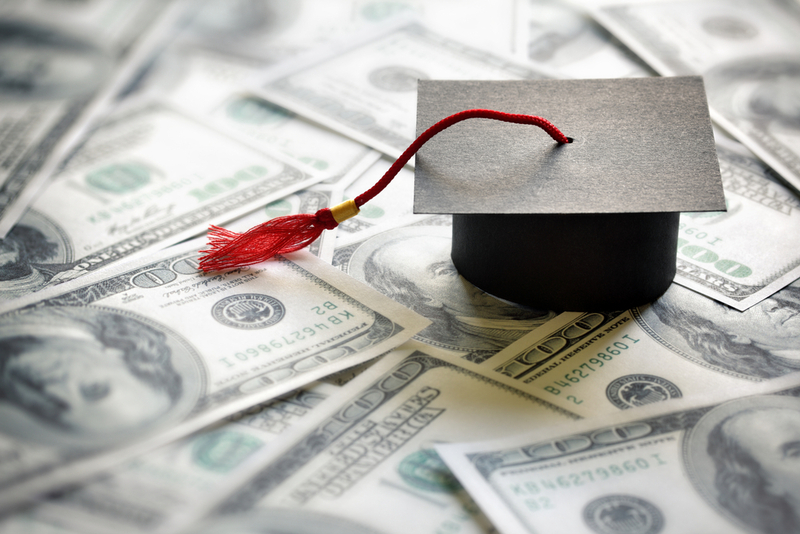 Prior to investing in a 529 Plan investors should consider whether the investor’s or designated beneficiary’s home state offers any state tax or other benefits that are only available for investments in such state’s qualified tuition program. Withdrawals used for qualified expenses are federally tax free. Tax treatments at the state level may vary. Please consult with you tax advisor before investing.